December 5, 2018 -- While French radiologists are waiting for a Ministry of Health decision on ultrasound probe disinfection regulations, the country's scientific societies are gearing up to promote higher decontamination standards in line with other European countries, ultrasound expert Prof. Nicolas Grenier revealed at the RSNA 2018 meeting in Chicago. Four million endocavity ultrasound exams are performed in France each year, and disinfection of probes remains low level; between each exam, probes are supposed to be cleaned with sterile wipes after removal of the sheath. Prof. Nicolas Grenier from Bordeaux, France. Most European countries and the U.S. have moved to a higher level on ultrasound hygiene, noted Grenier, a professor of radiology and the head of urogenital and vascular radiology at Pellegrin University Hospital in Bordeaux. Staff systematically soak probes in peracetic acid between each exam, or, more recently, apply ultraviolet light (UVC) or hydrogen peroxide, he told health journalist Jean Claude Durousseaud in a video interview in French. "A multicenter study about efficacy of low-level probe disinfection has shown that it is effective, provided that the rules are applied," Grenier said. "However, two surveys -- one French, the other European -- have revealed people aren't aware of the rules ...or that they don't apply all the phases of a low-level disinfection process. ... Because of these results, we need to apply additional measures and move to a higher level of disinfection," he continued. A working group comprising representatives from France's Society of Hospital Hygiene, and other ultrasound-related scientific societies, has created a proposal document recommending a higher level of probe decontamination and submitted it to the French Ministry of Health. This document is pending validation. Meanwhile, scientific societies will probably issue their own recommendations ahead of any ministry directive, according to Grenier, who was the co-founder and a past president of the French Society of Urogenital Imaging. 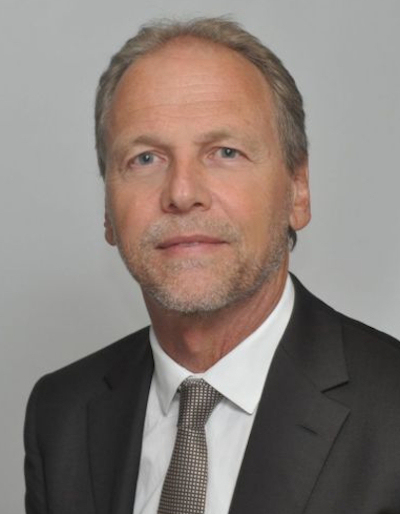 He also served as president of the European Society of Urogenital Radiology from 2000 to 2002 and president of the European Society of Molecular and Functional Imaging in Radiology from 2011 to 2014.